Alisdair is Head of our Family Team with just under 20 years of experience specialising in family law. He assists clients in respect of all family matters including co-habitation disputes, divorce, financial relief and children matters. Alisdair completed an economics degree before undertaking the Graduate Diploma in Law conversion course at BPP Law School in London. He then completed the LPC at Nottingham Law School in 1994. Alisdair qualified as a Solicitor in April 1997 after completing his training contract at Nicholsons Solicitors in Lowestoft. In May 2003 he became a partner at Steed and Steed LLP based in Suffolk and Essex, joining Leathes Prior as a Partner in February 2011. Alisdair is the firm’s Compliance Officer for Finance and Administration (COFA) and is a member of the firm’s Management Committee. 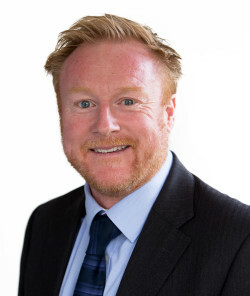 Alisdair is an Advanced Member of the Family Law Panel (regulated by The Solicitors Regulation Authority) in the categories of private children law and financial provision, and is a trained collaborative lawyer. He is also a member of Resolution which is a national group of lawyers whose main aim is to resolve disputes in as conciliatory a fashion as possible. Thank you again for the work you have carried out for me in my divorce. It has been very difficult for me due to the manner of the divorce but both you and Carla have shown sympathy and kindness towards me and the situation I found myself in. Should somebody in the future need the services of a solicitor I will have no hesitation in recommending your practice. A highly valued family lawyer with considerable experience in collaborative law and mediation. Very impressed with him…especially with his skills as a communicator. I would like to take this opportunity to say thank you for all your hard and professionalism through out the proceedings. I always felt you were looking out for my best interests. It was a pleasure doing business with you and the company and will use you again should I need to and will recommend to others. Good interpersonal skills and ability to point out the best way forward. Well versed in all areas of divorce, cohabitation disputes, financial relief and children work. Ability to handle matters in an intelligent and in a constructive way without posturing or messing around. An ability to handle matters in an intelligent and in a constructive way without posturing or messing around. Douglas is well versed in all areas of divorce, cohabitation disputes, financial relief and children work. Resolution-accredited Alisdair Douglas excels in divorce, financial remedy and private Children Act matters. Very knowledgeable, and guides clients through the process in a caring way. Has a full grasp of what needs to be done. Very calming and able to deal with stressful situations. He is quite to the point and does things quickly. Delivers exemplary service, and clear and accurate advice. Leads the team and has almost 20 years' experience in family law. He is an advanced member of the Family Law Panel, an accredited Resolution specialist in the areas of advanced financial provision and private children law, and a member of the Good Divorce Group in Norfolk.